HGTV named the Germantown Neighborhood one of the five great neighborhoods in Louisville, Kentucky in 2009, and this area certainly is fantastic! This community has become a magnet for younger artistic folks because of its affordable housing, eclectic atmosphere, the close proximity to downtown, and all the exciting hotspots of Louisville. Although not many people outside The Louisville Ballet know Andre Prokovsky, his work is familiar. He is known for his intricate and seamless choreography, which is technically difficult but always fun to perform. Jeffersontown, Kentucky is a popular, East-end suburb of Louisville. The area was once dense forest land but was quickly established by early merchants who took advantage of the many travelers going west through Louisville. Change took hold of Jeffersontown and in 1903, The Southern Railroad built a route into the public square from Louisville. Taylorsville Road and the General Electric Appliance Park opened in the 1950’s and brought new residents to the area. The Bluegrass Commerce Park in Jeffersontown, also known as J-town, is the largest industrial park in Kentucky and the area is the third-largest city of employment in the state, with 38,000 employees. With plenty of offices and employment opportunities in Jeffersontown, it is a great neighborhood to call home. There are tons of restaurants and shops for residents to choose from and green space to enjoy nature. Many Homes in Jeffersontown date back to the 1950’s and 60’s, but new construction and development is happening every day in this highly desirable community. Commuters will enjoy living in Jeffersontown because it offers some tranquility from the hustle and bustle of the city, but it’s only a 15 minute drive into downtown Louisville and to the airport. For a week every September, Jeffersontown plays host to the Gaslight Festival, which is a series of events for residents and visitors. Over 200,000 people pay the neighborhood a visit during the Gaslight Festival. Families will also love the Skyview Park complex that features regional baseball and softball tournaments. There is also the Floyds Fork Soccer Complex and the Blackacre Nature Preserve. There is always something to do in the great community of Jeffersontown! This weekend Louisville will host one of the best art shows in the nation! More than 750 artists from all over the country will showcase their art starting Friday at the 55th Annual St. James Court Art Show. Well over a quarter of a million spectators will come out for this free art fair to purchase one-of-a-kind pieces, sample the food, marvel at the beautiful surrounding architecture, and socialize. View all Wellington Homes for Sale on the Louisville MLS listings below! Wellington real estate is located off of Bardstown Road near the Watterson Expressway next to Strathmoor Village in Louisville, Kentucky. The neighborhood of Wellington was developed over 80 years ago as residents of Louisville continued to press eastward from downtown to found more residential neighborhoods. Wellington homes come in a variety of typical local styles including cape cod, ranch, bungalow, traditional, colonial, and even the rare Victorian farm house. Naturally, the best neighborhood in Louisville, Kentucky would have some of the best restaurants in town! The beloved Highlands Neighborhood is Louisville’s eclectic shopping and entertainment district. Bardstown Road, which runs through the heart of the Highlands, isn’t called “Restaurant Row” for just any reason – there are some amazing restaurants for every budget. Lake Forest is a premier residential community off of Shelbyville Road just outside of the Gene Snyder Freeway in Louisville, Kentucky. William F. Miles Park is a beautiful, majestic park located off Shelbyville Road and Miles Park Way just down the road from Lake Forest. Being in close proximity to each other means that the residents of Lake Forest are able to enjoy all of the benefits of the new six mile “water trail” that was opened in 2007 beginning in Miles Park. The main water trail leads to the Fisherville canoe launch. The opening of the water trail is the first recreational feature of the City of Parks initiative, which will add thousands of acres of park land and protect green space. Plans are being made to turn 4,000 acres of the Floyds Fork floodplain into park space, expand the Jefferson Memorial Forest, and add riverfront land and wharfs along the Riverwalk Trail and Levee Trail. For residents of Lake Forest, this means that you will be just a short drive from one of the primary launch points for the water trail. The canoe trip from William F. Miles Park to Fisherville takes about two or three hours, with views of rocky cliffs, shallow rapids, and coral fossils along the banks. The route will be open to canoes, kayaks, and rafts, with the best water levels in the spring and fall. Motorized boats are not allowed on the trail. Maps will be posted at kiosks and at the launch sites. One of the primary neighborhoods benefiting from the water trail and the City of Parks vision is Lake Forest. The neighborhood is less than a 10 minute drive to the William F. Miles Park, where residents can enjoy fishing, gardens, and water activities. Fishing is available year-round at the park, with trout being stocked regularly at Lake 4. Founded by Councilman Hal Heiner, the Community Gardens are a beautiful addition to the park and will help attract residents of Lake Forest to the area to enjoy the natural beauty. Plots to garden are available for reservation for the green thumbs (or aspiring gardeners) in the family. Lake Forest residents, known for their active community, will love the new water trail from the William F. Miles Park to Fisherville! View all Spring Farm Homes for Sale on the Louisville MLS listings below! Spring Farm real estate is located off Wolf Pen Branch Road and Spring Farm Road in Jefferson County near Prospect, Kentucky. The subdivision of Spring Farm was developed approximately six years ago primarily by Wolford Builders on luscious farm land near the Gene Snyder Freeway. Surrounding the subdivision you will find several older estate and farm homes, some of them still located on working farms in the area, each adding great character to the area. Seneca Park is a beloved and beautiful park in the Seneca Gardens neighborhood of Louisville, Kentucky. The park features a 1.2 mile walking and jogging track, tennis courts, several ball fields, a mountain biking trail, and an 18-hole professional golf course. Seneca Gardens is a treasured Louisville neighborhood, with a park-like setting and a strong sense of community. Its central location and natural beauty make Seneca Gardens a highly sought after neighborhood for homeowners. There are several other lovely communities that surround Seneca Park, including Broadfields. Located right off the Cannons Lane exit of I-64, this great neighborhood offers residents very easy access to the highways, major amenities, and the park itself. Broadfields features Cape Cod style homes, ranches, and the occasional tri-level home. Prices typically range from just under $200,000 to almost $300,000 for homes in the neighborhood. Perhaps the most beautiful of the neighborhoods surrounding Seneca Park is Cherokee Gardens. The area is bounded by Lexington Road, Cannons Lane, and I-64, offering quick and easy access for traveling or commuting residents. With some of the most immaculate and spectacular homes in the city, prices can range from $500,000 to well over $1,000,000. Most homes in Cherokee Gardens are custom built and showcase grandiose architecture and craftsmanship; styles can range from traditional, cape cod, contemporary, and the occasional ranch home. There are also English cottages, Frank Lloyd Wright contemporary styles, and luxurious condos – just to name a few of the types of homes you will find in the neighborhood. Highlands-Douglass is another community in close proximity to both Seneca Park and Cherokee Park. This neighborhood is considered part of The Highlands, Louisville’s treasured eclectic entertainment district. Highlands-Douglass homes come in a wide variety of styles, such as historical revival and craftsmen houses, mid-century modern ranches, colonials, tudors, English and Dutch revivals, and the occasional bungalow. Homes in the Highlands range in price from $50,000 to over $1,000,000. Strathmoor Village and Strathmoor Manor home prices range from $150,000 to around $400,000. The city of Strathmoor is located off Bardstown Road, about 5 minutes from Seneca Park. Homes in this neighborhood are typically traditional, cape cods, and bungalows. Seneca Park is a beautiful area and residents of the many nearby neighborhoods can actually walk to the park. Don’t compromise – have it all with a central Louisville location and lush natural surroundings! Take advantage of the historically low interest rates and come live in this fantastic home! Welcome home to 5208 Fisherman Court in Louisville, Kentucky. View all Countryside Homes for Sale on the Louisville MLS listings below! Countryside real estate is located between US 42 and Covered Bridge Road just across the Oldham County line in Prospect, Kentucky. The subdivision of Countryside was developed approximately 40 years ago on farm land in a time when most of Oldham County was still very rural with minimal residential housing options in subdivisions. The homes in Countryside come in a wide-variety of styles based upon the tastes of the original developer, home owners, and builders. View all Innisbrook Estates Homes for Sale on the Louisville MLS listings below! Innisbrook Estates real estate is located off of Sutherland Farm Road and US 42 near Rose Island Road in Prospect, Kentucky. The subdivision of Innisbrook Estates was developed roughly 12 years ago as an addition of luxury homes next to the Sutherland neighborhood. The subdivision contains roughly 60 homes, each architecturally-designed and many of the homes custom-built for the original owners. View all Valley Station Homes for Sale on the Louisville MLS listings below! Valley Station is a great neighborhood in southwest Jefferson County that saw an extensive growth of development in the 1950s and ‘60s when the town merged with the city of Louisville, Kentucky. Valley Station got its name because it is located in the valley between Muldraugh Hill and the Knobs. Muldraugh Hill is a steep cliff that separates the Bluegrass on the north and the Pennyrile on the south. View all Paramont Estates Homes for Sale on the Louisville MLS listings below! Paramont Estates real estate is located off of US 42 near Covered Bridge Road in Prospect, Kentucky. The subdivision of Paramont Estates was developed approximately 20 years ago around an old water-filled rock quarry on farm land. The quarry is the centerpiece of the neighborhood and is surrounded by the best homes in the subdivision. With the prevalence of ways in which to locate a new home, home buyers in the Louisville, Kentucky area need to know where to go to search the Louisville MLS listings at their convenience. Oftentimes, home buyers elect to perform their own searches on the Internet when attempting to locate their new home. This provides numerous benefits to the potential home buyer such as allowing them to browse listings at their leisure, relieving pressure and stress sometimes felt when dealing with sales techniques from real estate agents on the phone or in person, and educating them about the nature of the market in which they are buying. 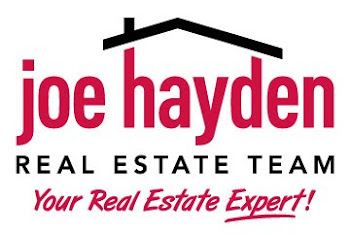 View all Nevel Meade Estates Homes for Sale on the Louisville MLS listings below! Nevel Meade Estates real estate is located off of Covered Bridge Road near US 42 in Oldham County in Prospect, Kentucky. The subdivision of Nevel Meade Estates was developed beginning approximately 20 years around the road leading up to the Nevel Meade Golf Course. Nevel Meade Estates homes were constructed on large lots, sometimes more than one acre, and the subdivision features open, rolling hills that give the area character. Lake Forest is a large community of prestigious and extraordinary homes in the east end of Louisville, Kentucky. The neighborhood sits right off of the Gene Snyder Freeway between Shelbyville Road and Old Henry Road. Lake Forest has over 1,700 homes and is still growing because of its beauty and plethora of neighborhood activities for the whole family! View all Stone Lakes Homes for Sale on the Louisville MLS listings below! Stone Lakes real estate is located off of Taylorsville Road at the Gene Snyder Freeway in Louisville, Kentucky. The subdivision of Stone Lakes was developed roughly 14 years ago on farm land in Southeastern Jefferson County near Jeffersontown by Sturgeon and Associates to take advantage of the need for new construction and modern development in the area. Welcome to Labor Day Weekend in Louisville, Kentucky! There are some fantastic activities always happening in and around the city, and Labor Day weekend is no exception. The 6th annual Kentucky Bluegrass & Burgoo Festival is taking place at the Water Tower. This is a great festival to hear some Kentucky bluegrass music and eat burgoo and barbeque! Burgoo is a type of stew made from a mixture of ingredients. Kentuckians turn burgoo-making into a social event, where everyone brings one or more ingredients to add to the stew. View all Silver Oaks Homes for Sale on the Louisville MLS listings below! Silver Oaks real estate is located off of Billtown Road near Jeffersontown in Louisville, Kentucky. The subdivision of Silver Oaks was developed by Pinnacle Properties approximately 10 years ago to make available newer, affordable homes in the Jeffersontown area. The Highlands is where Louisville, Kentucky lets its hair down! An eclectic collection of neighborhoods full of local shops, restaurants, and bars, the Highlands sits atop a ridge between the middle and south forks of Beargrass Creek along a three-mile stretch of Bardstown Road and Baxter Avenue. The area is also known as "Restaurant Row" because of the many exciting nightclubs and eateries.